The Machinists, responsible for unfolding this first reference of the label with three original cuts embodies an UK-based producer, boasting a prominent influence by the techno sound the Birmingham neighbourhood is recognised for. Extraction, the first original production sets-off the release with pure raw hypnotic grooves, guaranteed as safe countermeasure to any given dance floor situation. The second original production is Slabb. A mesmerisingly-pleasant, hypnotic track arranged for maximising impact over crowds already trapped in the late night grooves. Metallic and subtly arpeggiated, this constitutes your track when a jacking beat is required. Lemmings, the title track chosen for this EP holds multiple meanings behind it's name. While you decipher the author's intended significance, drift away in infinite patterns of raw analog sequences omnipresent on the composition. Representing the new wave of producers paying homage to the old-school, arrives Sirius Brown, supplying new school techniques injected in this straight-techno banger, turning Lemmings into a stomping, dance-floor monster. Solid bass foundations embody the basic building blocks of every remix crafted by Greencross. Add up a dash of hard hitting drums paired with super complex sequences, and you obtain the formula the producer is acknowledged for. This time he steps out of his own manifesto by introducing an unexpected kind of element into the rework.  The master-mind behind label itself Miss Electric, delivers a remix for this inaugural release in shape of a tool, conceived to be applied with a creative approach on your DJ sets. MER pays tribute to the artists who made their quintessential contribution to the scene back in the day. An acid bass-line permeates razor-sharp beats on this Slabb Remix by one of the worldwide acid techno ambassadors DJ ESP aka Woody McBride. To conclude the EP, Lemmings gets a treatment by one of the last decade's hardest working individuals behind the techno scene with immutable contributions such as Primate Recordings and Primevil, John Warwick joins the release with a version that evokes the prime-time of the 90's rave scene.